Why the look of Jean Mahie Jewelry is more modern now than ever. With fashion endlessly mining the vibe of 1970s and 1990s nostalgia, the fluid, artisanal and eclectic appeal of Jean Mahie jewelry feels more fresh and enticing than ever. The pure sculptural quality of Mahie makes for an unexpected, yet right at home, punctuation to say, a Gucci ensemble or flowy Chloe number for spring. Layer it, à la ’90s, and it becomes a dramatically rich mash up that off sets a casual t-shirt and jeans in a way the Olsen sisters and The Row designers could certainly appreciate. Both timeless and reminiscent of the ancient artifacts that have inspired its look, the label, Jean Mahie is actually a partnership between designer and artist, Jacline Mazard and her father-in-law, Jean Mazard. Together they have created one of the most recognizable jewelry lines around today, celebrated for its unique aesthetic and perfectly imperfect appeal. 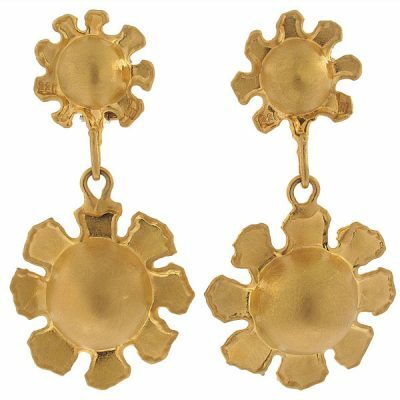 Jean Mahie has garnered a solid cult following who admire the one-of-a-kind pieces all crafted in 22k yellow gold. 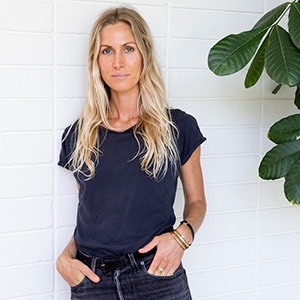 Mazard herself has stated that the concept of fashion trends in jewelry elude her and that is none more apparent than in the tactile, old world-meets-timeless nature of the pieces she creates.